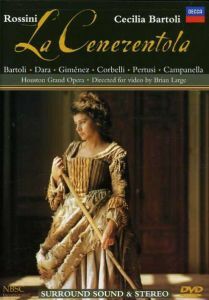 The following is a list of every filmed performance of La Cenerentola that I’ve ever seen on DVD, Blu-Ray or VHS, ranked from my highest recommendation to my lowest. Notice that I’m not saying “best to worst”: I don’t dislike any of them, nor do I actually have an all-time favorite. 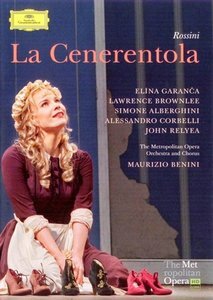 But I know which versions I’d recommend the most highly to people who’ve never seen Cenerentola before, and which ones I’d recommend the least. If these comments of mine help anyone with their opera-shopping, I’ll be overjoyed. 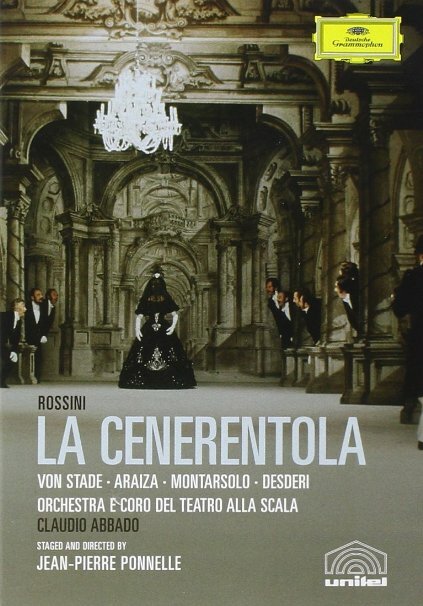 This beautiful romp of a studio film, based on Jean-Pierre Ponnelle’s legendary La Scala production, is Rossini at its best. 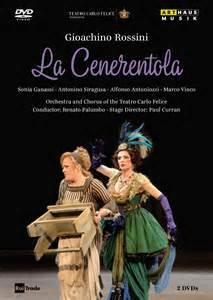 With its endearingly stagy sets, charming Victorian-era costumes, high-spirited comedy, and outstanding cast – led by Frederica von Stade’s angelic Cenerentola, Francisco Araiza’s ardent Ramiro and Paolo Montarsolo’s towering Don Magnifico – it’s a near-perfect Cenerentola for opera newcomers. My top choice. This lively outing from the Met’s Live in HD series is a joy from beginning to end. While the colorful, Magritte-inspired production – set approximately in the 1920s – might be slightly overloaded with ham and slapstick, it’s still hard to watch it without smiling, particularly since it features a winning cast led by the stunning Elina Garanca. Picture, sound and camerawork are all up to Live in HD’s usual high standards. A close second choice. A beautifully elegant production in realistic Regency dress, with an almost Jane Austen-like atmosphere. It avoids the standard clownish humor, instead emphasizing gentle satire and genuine human heart. With its array of all-star performers, its constant visual charms, and its good picture and sound quality (though some of the camerawork is static), this is a Cenerentola not to be overlooked by any Rossini lover. A starkly realistic, unsentimental Regency-dress Cenerentola, similar to the Salzburg production but with a darker, more biting edge to its comedy. 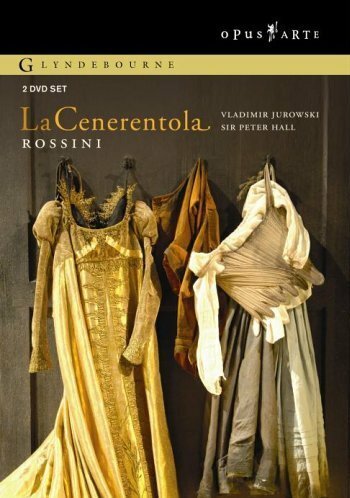 Cenerentola herself – the excellent Ruxandra Donose – is portrayed as an earthy, feisty rebel, not the usual ingénue. I’ll admit I miss the fluffy sweetness of other versions, but still, this one is beautifully thought out and superbly performed by everyone involved. A strong second, third or fourth choice. This production is a lovable mixed bag. The staging is half park-and-bark, half cartoonish comedy, but the funny yet elegant Napoleonic-era visuals are appealing, and the all-star cast provides vocal gold and theatrical spark to spare. 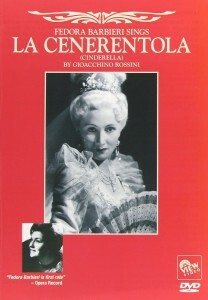 Likewise, Cecilia Bartoli’s unique mannerisms can be an acquired taste, but her effervescent voice and adorably plucky characterization still endear. 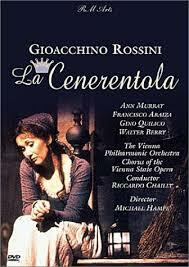 Not an ideal first choice, but still a must for Rossini fans. This DVD preserves the world- famous production by Catalan theatre group the Comediants. With its bright-colored, exaggerated pseudo-18th century costumes, quirky surrealism, and “Greek chorus” of giant rats, it’s a cartoon world come to life. The visual charms compensate for slightly bland staging. 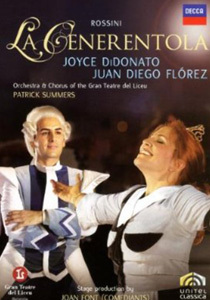 Joyce DiDonato and Juan Diego Flórez sparkle as Cenerentola and her prince, while the mostly-Spanish supporting cast is strong all around. A visually lovely production set in 1912, with an elegant, Merry Widow-esque art-nouveau aesthetic. The best word I can find to describe it is “solid.” The performers are good, but with no particular standouts, and the whole production lacks the spark of others. Still, it has its own unique charms, and the sound and picture quality are excellent. It’s not a first choice, but I still recommend it for Rossini devotees. This is the same elegantly realistic Michael Hampe production seen in the Salzburg DVD, but with a much less starry cast and fuzzier picture quality. Still, it has the same visual beauty and wit, and the cast is uniformly good. 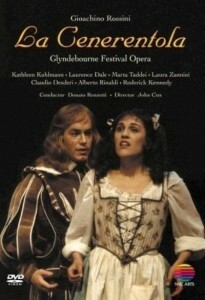 (Though unfortunately, Don Magnifico’s great Act II aria is cut). 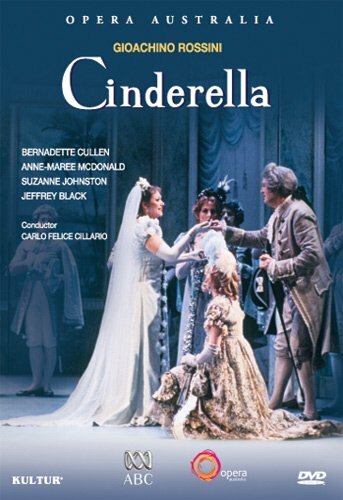 If you want to see the Hampe Cenerentola, I recommend the Salzburg DVD first, but if you happen to find this one, it’s still worthwhile. A very British “Christmas pantomime”-style production in Cavalier-era costumes, with sets that resemble antique storybook illustrations. It’s adorable and amusing, but feels a little too aimed at children (very much a production of “Cinderella,” while others are more thoroughly La Cenerentola) and the video quality is early ‘80s fuzzy. 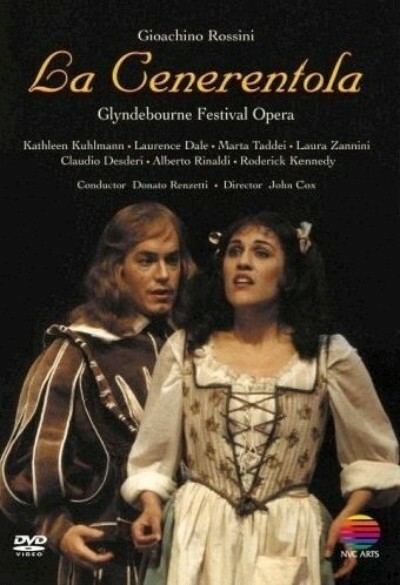 But the cast is decent, particularly Claudio Desderi’s hilarious Don Magnifico. Again, not a first choice, but still worth seeing. This vintage black-and-white film, shot in authentic Italian palaces, mostly stays true to the libretto but brings back the original fairy-tale’s magic by making Alidoro a wizard. 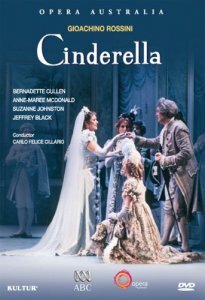 The score is heavily cut, the acting is generally bland, and the American DVD has excessive English narration instead of subtitles, but the locations and 18th century costumes are beautiful, and though the great Fedora Barbieri doesn’t appear onscreen, she give a sumptuous vocal performance. For completists only, but charming in its own fuzzy way. Copyright © Pamina's Opera House 2012.All rights reserved.